Re: Are there any big artists that use FOSS software? I don't know any real big name. I think it tends to be a bit of a niche. I would look into the most prominent live coding artists, though, as most likely they use open source audio programming languages. He programs and builds most of his stuff, and at some point his setup was based on Gentoo Linux. It'd be a huge popularity boost for free software if someone famous admitted to using it. 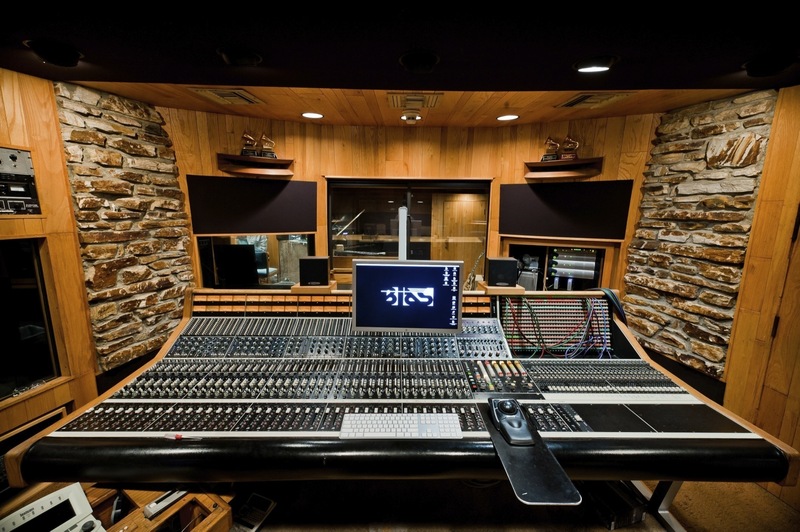 I think most musician don't care with what software the rented studios record or edit. And it almost must be that there are studios and producers using linux partly or full. These look like linux to me. Or aren't they? zoco wrote: These look like linux to me. Or aren't they? Aw yeah, that's a good point. Many complex pieces of hardware, like professional automated mixing consoles, do run some kind of Linux inside. Probably Linux sneaked into many recordings without anybody realizing it. As for famous musicians using directly something opensource for their composition I am not really sure. I could imagine that many rappers and garage bands once started low budget with FOS and even still use that. If you put the usage percentages from say linux on it it has to be. I would imagine that pure data, supercollider and vcvrack are the most popular. I think most big artists are happy to pay for the support that comes with large proprietary software. Infected Mushroom used to use Vember Audio Surge. That's about as close as a link as I can think of. sysrqer wrote: I think most big artists are happy to pay for the support that comes with large proprietary software. Most big artists once were not big, and nowadays many start like we do. The same as partly artists are known to once have used illegal software as they were not big enough to pay for support. Mixbus for instance is well know and it would surprise me if that is not used more. I've been addicted to reading TapeOp cover to cover for many years, and through hundreds of interviews with engineers and producers working in every conceivable genre, as well as features on recording studios and how certain records were created, I've seen exactly ZERO mentions of Linux. Linux will occasionally be mentioned in a plugin review re: compatibility, but probably only if the company/manufacturer points it out in their literature. I suspect this is the case because most Linux musicians are also into Linux itself, meaning that half of the fun for Linux people is tinkering with setup, breaking things and fixing things, forcing incompatible things to work together, using weird setups, adding repos, trying not to spend any money, restricting your tools to FOSS etc. It's all great fun if you like doing those things, but I can't see how anyone trying to focus on recording/producing who is not also excited by Linux would bother with jumping through so many hoops as we do! ufug wrote: I suspect this is the case because most Linux musicians are also into Linux itself, meaning that half of the fun for Linux people is tinkering with setup, breaking things and fixing things, forcing incompatible things to work together, using weird setups, adding repos, trying not to spend any money, restricting your tools to FOSS etc. I certainly am not any of that. When I sit down to create music, it is to create music and nothing else. This means that there's of course some setup to be done, software to be installed, OS to tweak a little, the usual things anyone would do under Windows and Mac. Deal maybe with a config problem or two. But that's it. Tinkering stops abruptly there. Any other effort goes to creating music, which also means learning the tools up to a reasonable level, eventually. And I certainly do not restrict anything to FOSS. Doing so would limit expressiveness by a good amount. Not creativity. But expression. I use Linux for music because I use Linux for software work. As such I did not run Windows nor Mac for years and years. It's really unfortunate if Linux is perceived mostly on the terms you describe because it does have to be like that. Not at all. Linux runs native Bitwig Linux to a productive level, as well as Harrison Mixbus32C and Windows plugins can run also quite well but, not all Windows plugins will run and that's perhaps where people are turning away, if they are bent on running Big Name softwares that are known not to run well on Linux. ufug wrote: It's all great fun if you like doing those things, but I can't see how anyone trying to focus on recording/producing who is not also excited by Linux would bother with jumping through so many hoops as we do! That's an excellent and key point. Most people don't know what open source is, let alone care enough about it to jump through the hoops to make it work. I don't like to play down the work of open source developers but my experience has been that current open source audio is a bit too delicate - I can't count the number of times ardour vanished on me with no trace of what I was working on (happened in unfa's last video). That is unacceptable for professionals, software can't be used at that level if it comes with the caveat of you must save very regularly or else you will lose your work. I'm pretty sure mixbus will have been used on some well known songs but that's isn't FOSS is it? I personally think there is a huge gap between where linux audio is an where win/mac audio is. I'm sure there are specific audio tools in linux that are the best on any platform but for monolithic daw workflows, plugins, and mastering win/mac are far ahead. And that is why it's not used by big artists (not meaning professionals), needing to be a bit of a computer nerd to run a daw that might not be that stable to use plugins that are a fairly basic in comparison to what you're used to isn't much of a selling point. sysrqer wrote: I personally think there is a huge gap between where linux audio is an where win/mac audio is. I'm sure there are specific audio tools in linux that are the best on any platform but for monolithic daw workflows, plugins, and mastering win/mac are far ahead. I'm quite sure that's not what you meant but here goes. It's not a question of Linux/Win/Mac. It's a matter of competition and making a living creating software. If Linux was a profitable platform then there'd be competition amongst companies to produce audio software that would sell because the platform itself would be one that can produce benefits. And when competition to make a living is in play then minds are working hard to come up with "the best" and "the innovative" while keeping the customers in full sight which means making software that users can use. As opposed to making software for academic purposes. And software that is reliable for continuous sustained use by customers who in turn use that software to also earn a living, or at least a little cash here and there. It also means that competition for earning a living means at least 40 hours a week dedication. Which in turn at the basic level means better algorithms and optimized algorithms. If Linux would be such a platform that can bring in monetary retribution (along with Open Source also present as one does not hinder the other) then we would see a lot more of "big artists" using it, for the reasons mentioned above. It wouldn't be surprising that a certain number of commercial plugin and DAW vendors and developers would actually like it a lot to work under a well established Linux platform. From what I can see some of these guys have very good words for Linux but, they just can't spend their "earning-a-living time" developing for it because the business is not there. It's a bit of a chicken and egg affair. Oh absolutely, I wasn't implying that there is anything inherent in linux that stops it from being comparable, just a simple observation about where things stand at the moment. It seems like there is a gradual shift of acceptance with reaper, bitwig, sonarworks etc so hopefully they will push things forward for other devs and we will get more and more attention. There must be a perceived need. Like what are the drawbacks of using Windows/Mac as a OS for professional audio production when compared to Linux. I mean outside of the availability of professional audio applications. What could motivate studios to consider Linux as a better OS to work with, what concerns professional studios have in using Windows/Mac that they could wish they could get rid of, that even perhaps cause them annoyances. IMHO it's on that front that Linux can put a proverbial foot in the door into professional audio production and with that interest more vendors to offer products. And on the vendor development side, how easy it is to develop under Linux. How easy it is to get information at the deepest level of the OS. How easy it is to benefit from all the Open Source. That applications can be written for Linux, Windows and Mac can also provide a nice profit transition. I do not run a professional studio, so I do not know. But it could be things like annoying OS updates, usage of 'older' CPU gear that studios would not necessarily like to get rid of, local network reliable backups, ease of customizing, ease of replicating configurations since they are text files. Maybe even security concerns. There can be a certain number of factors that would put Linux at favorable spot as an OS to work with for audio production. After all Linux has found itself many high time places in embedded devices and servers. And at that point it would be one well established Linux distro. Not a flurry of them. It would deter the best commercial endeavor to have to support several distros, they already have problems like this at times with Windows.